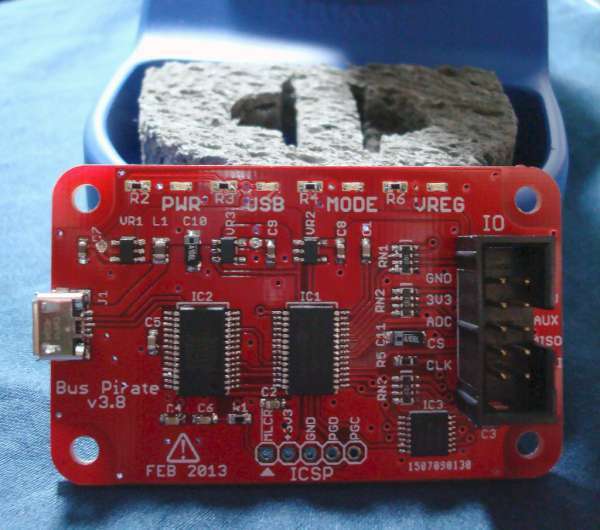 @MegaLabs08 tweeted picture of his free Bus Pirate v3.8 PCB build. The Bus Pirate is an open source hacker multi-tool that talks to electronic stuff. This entry was posted on Thursday, April 28th, 2016 at 12:25 pm	and is filed under builds. You can follow any responses to this entry through the RSS 2.0 feed. You can skip to the end and leave a response. Pinging is currently not allowed.